Canton Kitchen (老招牌) is a Chinese restaurant at Rampai Business Park. Spanning the width of two shops, this restaurant at Sri Rampai has both air-conditioned and open-air dining sections. 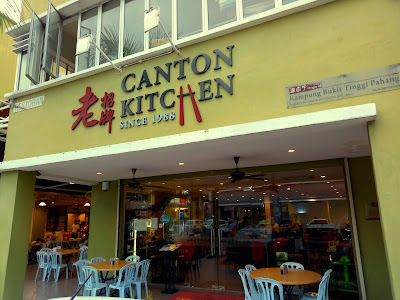 The original shop of Canton Kitchen is located in Kampung Bukit Tinggi, Pahang. 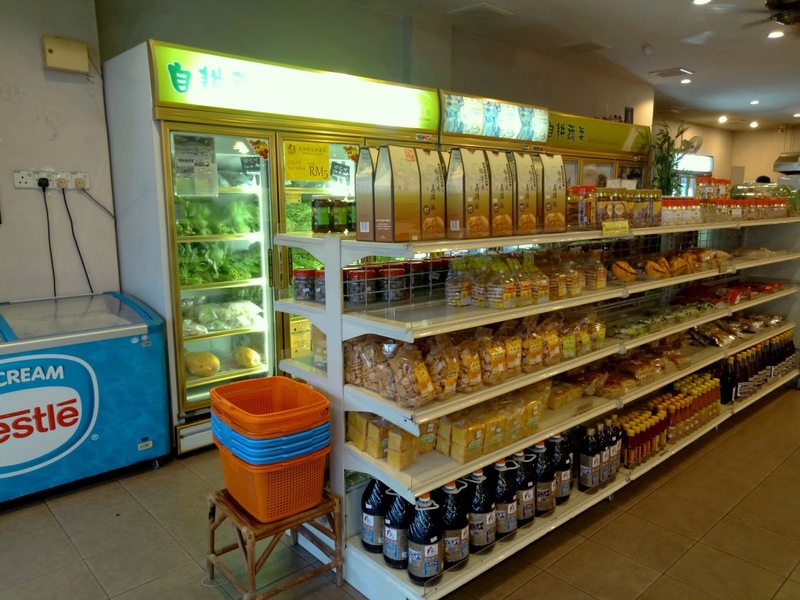 The proprietors also operate a farm nearby, from which the restaurant gets its fresh supply of produce. 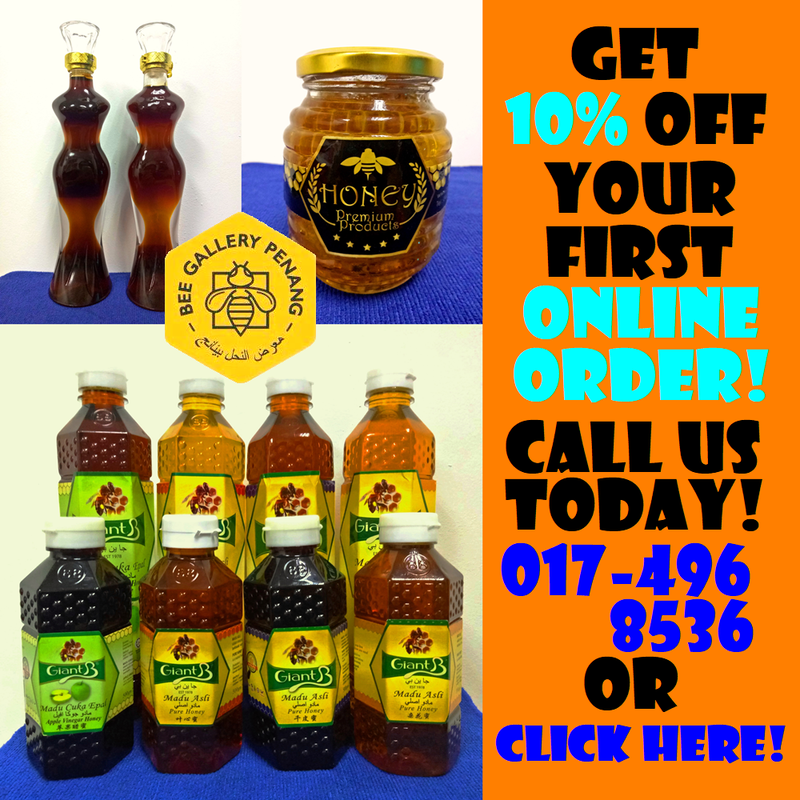 Fresh produce is up for sale too. From Mother's Day to Father's Day, Canton Kitchen is serving several festive dishes like the Mini Burger Set (迷你汉堡拼盘, RM28.00). Sandwiched within fried mantou (炸馒头) is steamed pork (扣肉) and cucumber. Also included are juicy slices of jicama (凉薯) with wolfberry (枸杞) topping. Meanwhile, the pumpkin at the center resembles a blossoming flower. One of the highlights in the festive menu is Fried Mini Chicken With Fruits Rojak (群鸽迈向热带果, RM15.00 per bird). 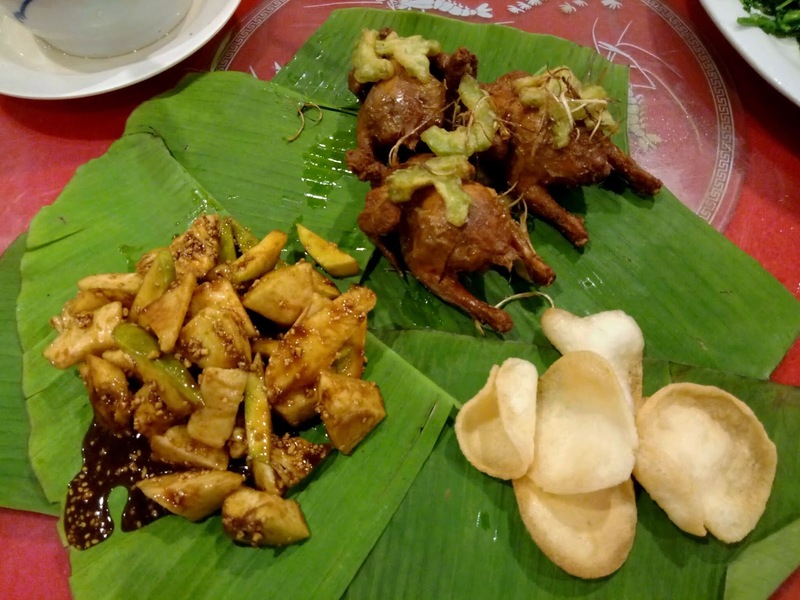 Spring chicken (童子鸡) is served with fried bitter gourd (苦瓜) and ginger slivers (姜丝). The chicken's taste is acceptable but not particularly impressive. 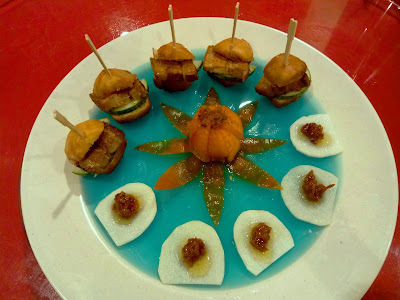 There are also prawn crackers and fruit rojak on the side. Plastic gloves are provided to diners who do not wish to get their hands oily. Papaya Soup With Pork Ribs (木瓜炖排骨汤, RM22.00) strikes a chord with my palate. The soup carries pleasant sweetness of papaya. 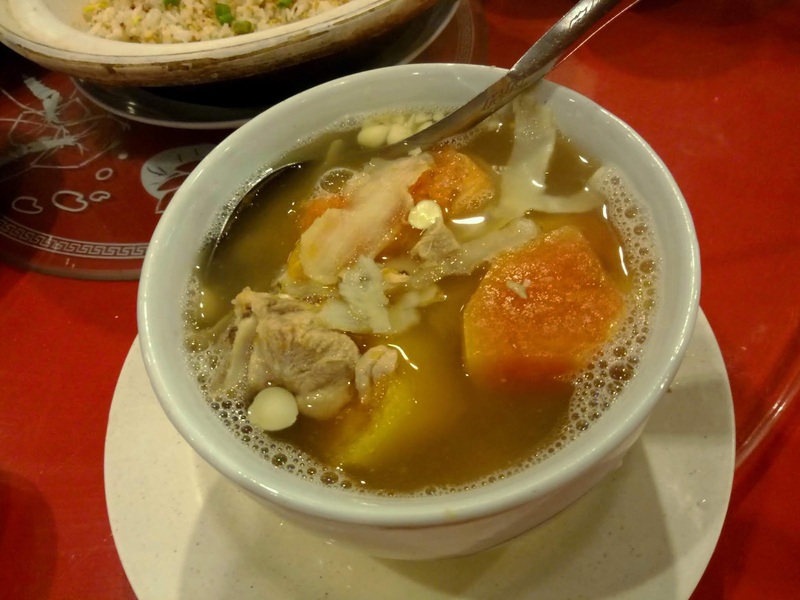 In addition, the soup contains Chinese herbs like scented Solomon's seal (玉竹) and apricot kernel (杏仁). 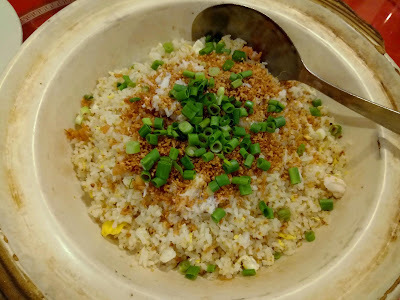 Japanese Crab Meat Garlic Fried Rice (日式蒜米饭, RM28.00) is served in a claypot. The fried rice has loose texture so it does not feel too surfeiting. I appreciate the tantalizing fragrance of garlic. Chopped scallions and fried shallots also serve to enhance the aroma. 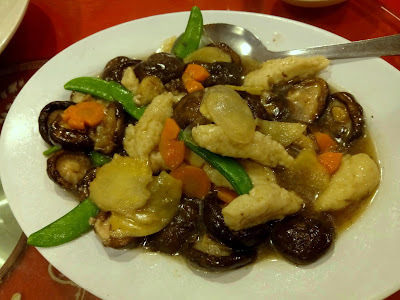 Fish Paste Mushroom (鱼滑生冬菇, RM28.00) contains delectable pieces of fish paste (鱼滑) and shiitake mushrooms. The dish is also fried with assorted vegetables like carrots, pea pods and water chestnuts. 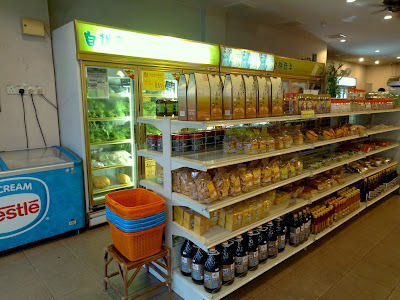 Like most vegetables, watercress (西洋菜) is sourced from the restaurant's own farm. The aquatic plant has a soft and silky texture. 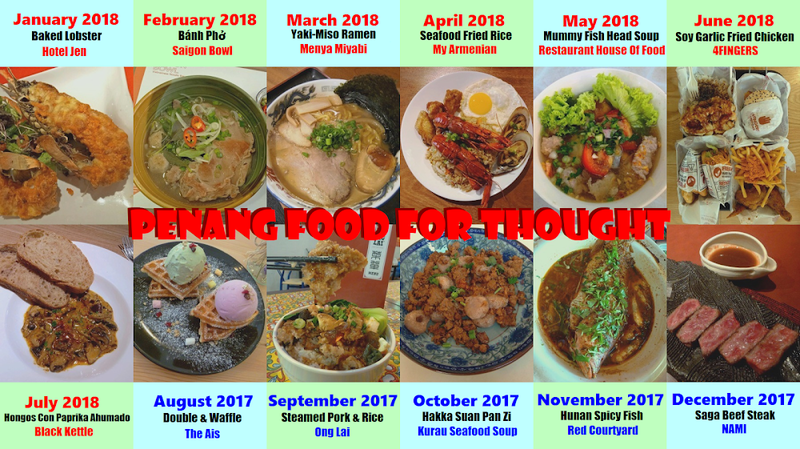 There are several cooking options for vegetables. 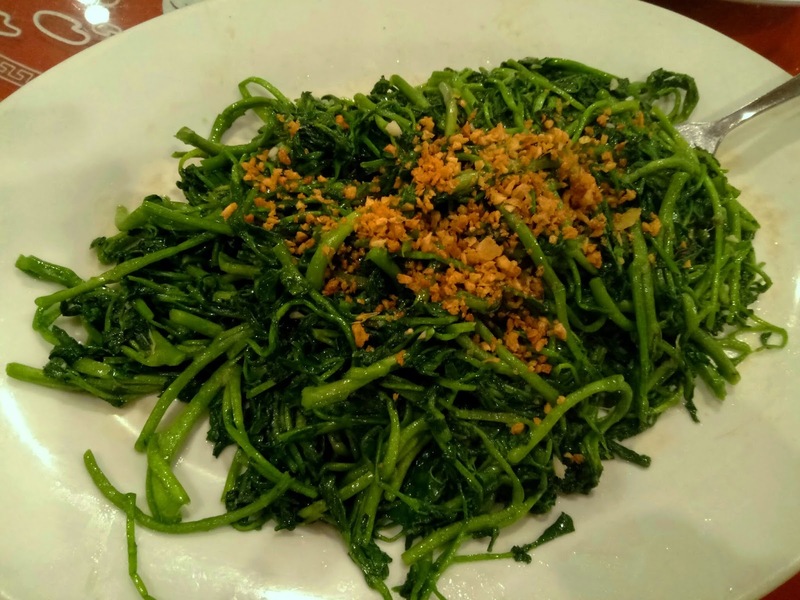 We opted for Wok-Fried Watercress With Garlic (RM23.00). Moving on to desserts, Peach Gum Dragon Ball (桃胶金龙珠, RM38.00) is selected from the festive menu. 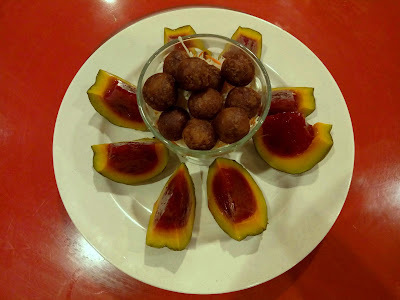 The glass bowl at the center contains fried sweet potato balls. Meanwhile at the platter's circumference, pumpkin wedges are filled with jelly-like peach gum (桃胶) such that they resemble watermelon slices. 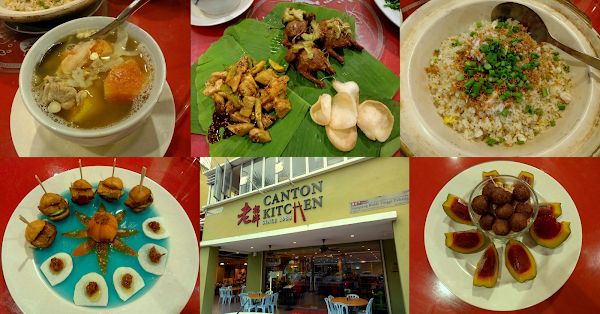 Overall, the food at Canton Kitchen is reasonable in terms of taste. But given the hefty price, the restaurant falls short of total satisfaction. I also feel that the table service here is very slow and disorganized. This is especially true during peak hours.